I loved my little vintage bread box that I found at the thrift store, but it needed some more farmhouse charm. I gave my vintage bread box a chalk paint makeover. Oh, the power of paint! If you love DIY videos, be sure to subscribe to my YouTube channel. 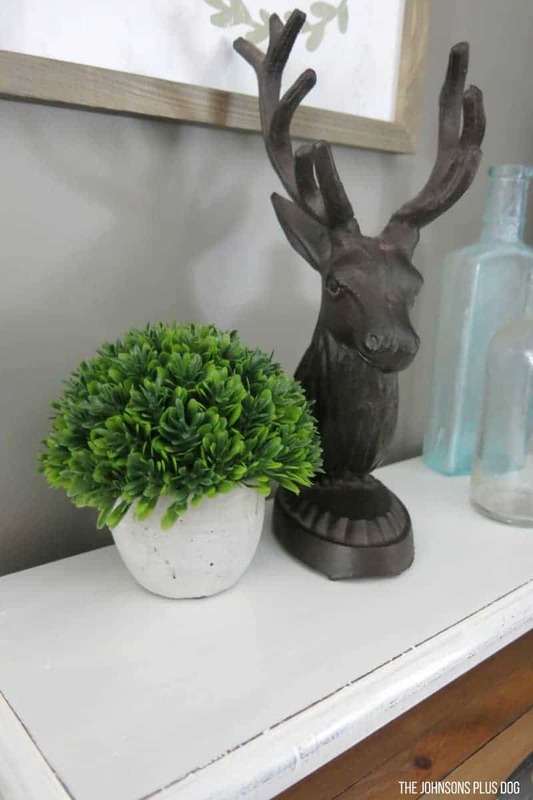 I’m excited that to be joining the ladies that do the monthly amazing Thrift Store Decor Upcycle Challenge! Each month, we’ll be coming together and bringing you tons of thrifty upcycle ideas to get those wheels spinning. This month I decided to give my vintage bread box (one of my favorite thrifty finds) a little chalk paint makeover. This vintage bread box post contains affiliate links, but nothing that I wouldn’t wholeheartedly recommend anyway! Read my full disclosure here. 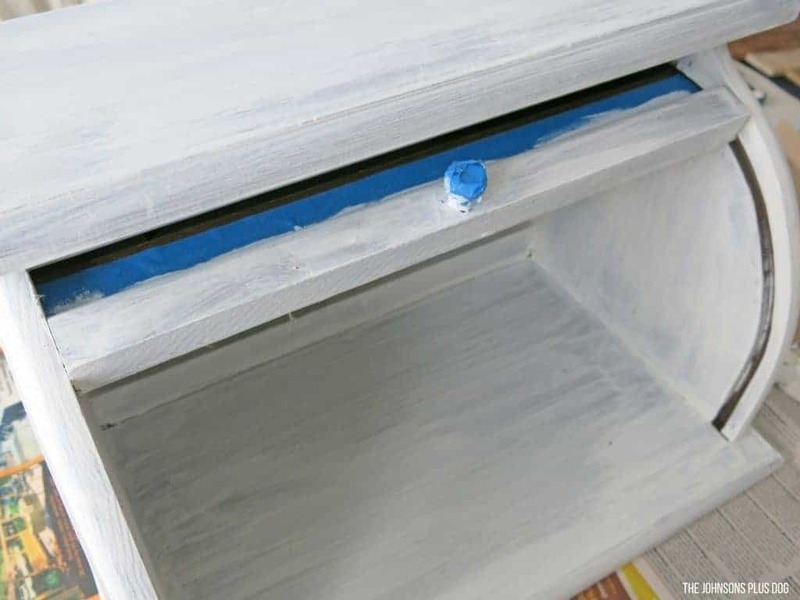 Let’s jump right into my vintage bread box chalk paint makeover. One of the major decisions during our home renovations was choosing our paint color. We decided to go with one paint color in the main living areas and one in the the bathrooms for simplicity’s sake. We choose Behr’s Fashion Gray as the main color and Behr’s Burnished Clay. Although I absolutely love our paint color, it is an adjustment after living with only white and tan walls in the past. I now find myself leaning towards lighter colored decor since our walls are darker. Logan and I stumbled across this awesome vintage bread box at Goodwill and few years ago and fell in love with. After bringing it home, Logan did some work on the base that was warped a bit, but then we left it as is….for three years. 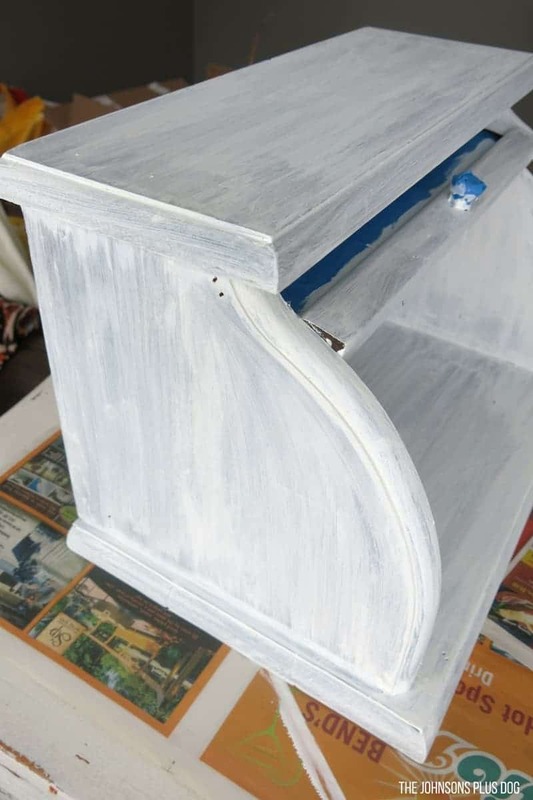 When I got invited to participate in this thrift store challenge, I knew I wanted to tackle giving this bread box a little chalk paint makeover. 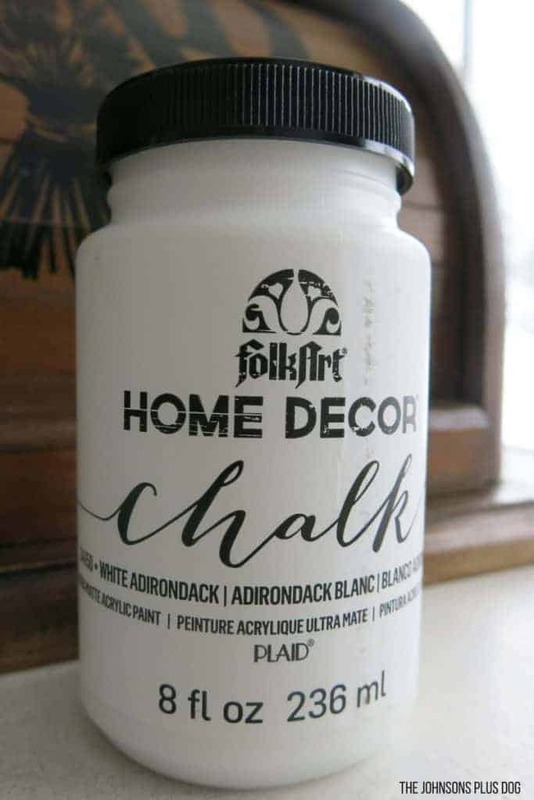 I decided to try out the Folk Art brand of chalk paint and chose the color White Adirondack. 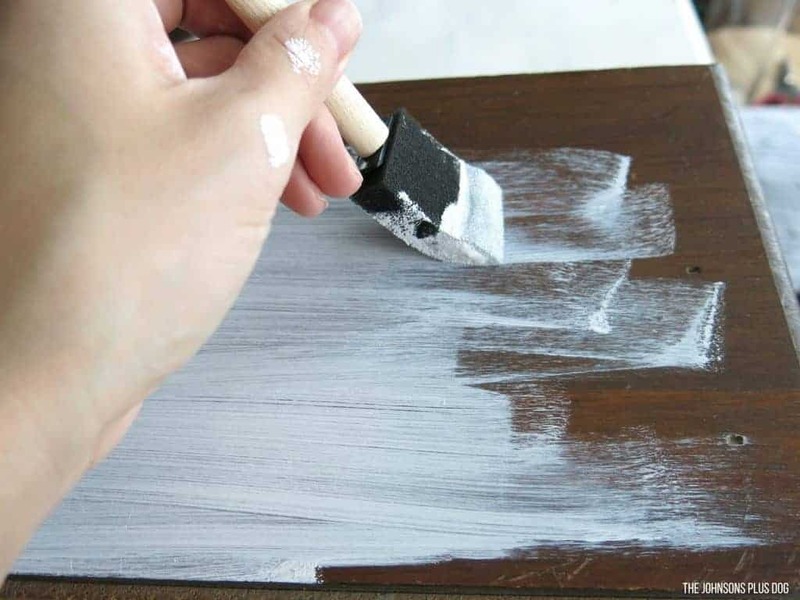 If you haven’t tried out chalk paint yet, one of the perks is that you don’t have to do any sanding before you start painting. 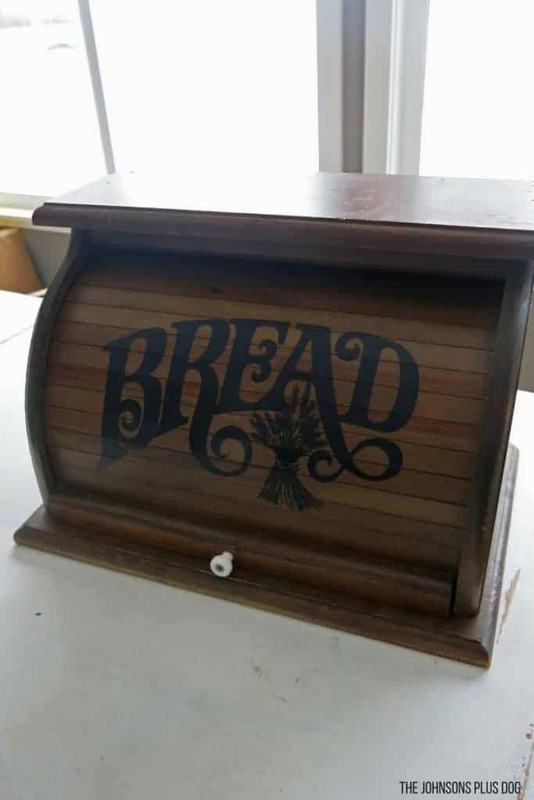 This makes it perfect for upcycling thrift store projects – which usually come with their fair share of dings and scratches, like our bread box. 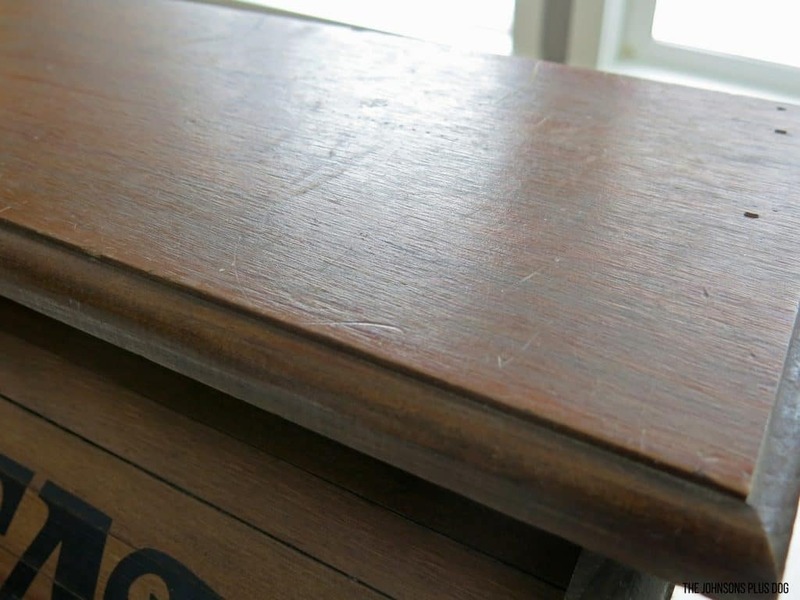 This vintage bread box chalk paint makeover covers up all those! 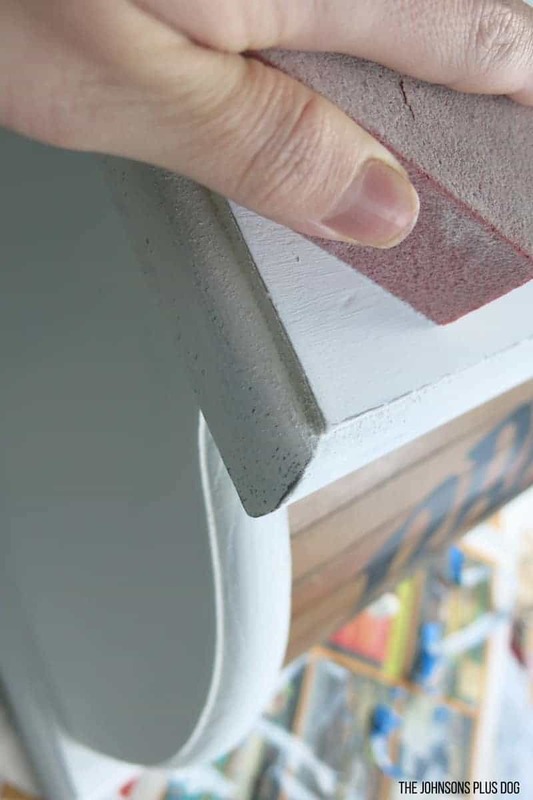 I used a simple foam brush to apply the chalk paint. I wasn’t sure how many coats we were going to need on the vintage bread box. Here it is after one. I decided for three coats. I distressed the vintage bread box using a sanding block. I lightly sanded the whole thing and then did extra around the edges for the distressed farmhouse look that I was going for. 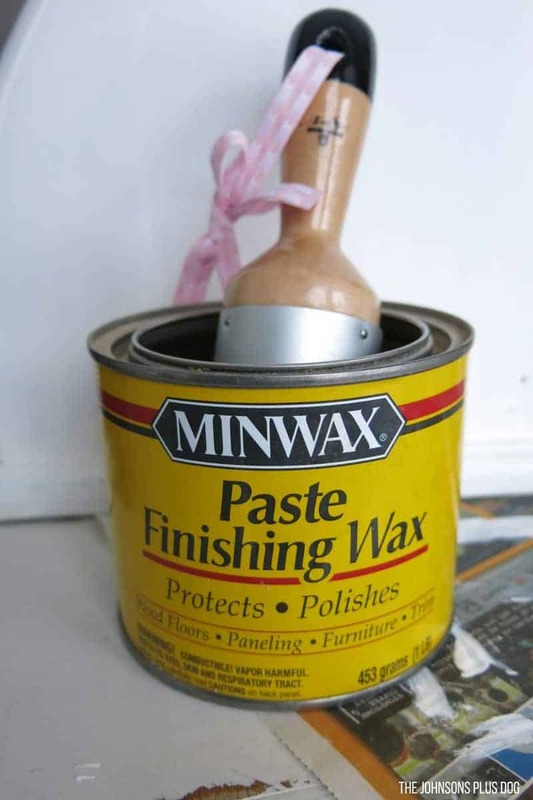 I finished by applying Minwax Finishing Wax using a wax brush. I love how it turned out, what do you think? The painted vintage bread box really brightens up this little corner of my kitchen. 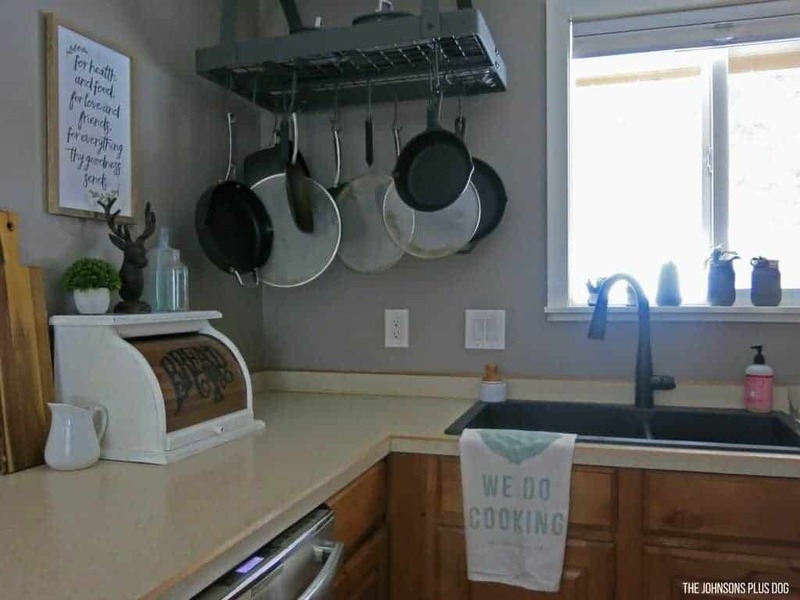 I love our pot rack we added during our renovation of this area. There was a big, bulk corner cabinet there before. Removing the cabinet really opened up the space. (You can see more of the before and after home renovations of this project and more here). I always get lots of questions about this sign when I post this area on Instagram, so let me save you the trouble. This adorable sign is from Hobby Lobby, but last time I was there I saw it marked down on clearance and now I can’t find it on their site, so I’m guessing it’s long gone! I’ve been on the lookout for an old bread box for awhile! Love the update you gave yours. Thanks Amanda! 🙂 It was certainly a good find. Oh, I love the wood and white combo. Way to give this bread box new life. I love this upcycle and how you kept the front in a wood tone. It’s perfect and looks so cute on your counter. Thanks Sue… I just couldn’t get myself to paint over that cute vintage charm of the text and wood. I love how it turned out mixing the colors. Thanks for your comment. Well, darn! I used to have one of these and got rid of it. Now I wish I wouldn’t have. I love how it turned out. Haha! Well hopefully you took it to a thrift store and someone else grabbed it up. Paying it forward, ya know? The bread box looks great. You did a wonderful job. 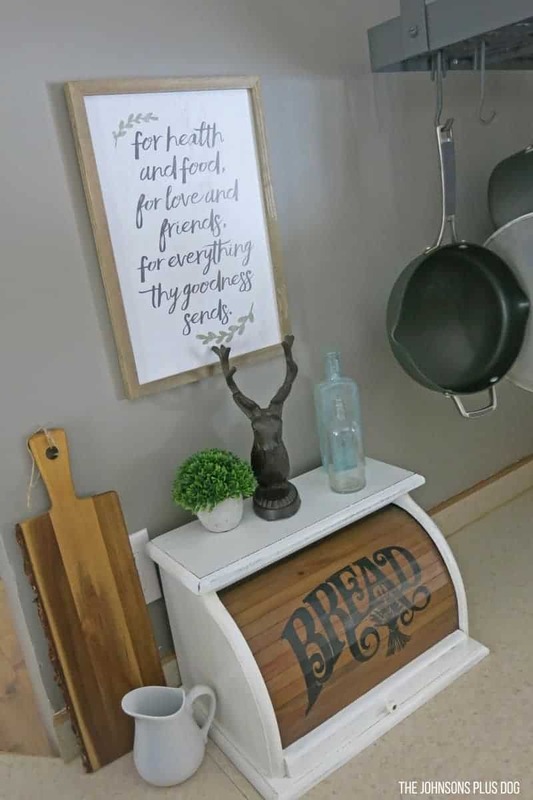 This was a great find, and the white paint makes it the perfect farmhouse-style item for the kitchen! Thanks Lora. I love how it brightens up the area. I want this! It would look fabulous in our kitchen. I’d put all those charging station supplies inside. I had seen something like this at the Salvation Army and passed it up. Went back and it was gone! I was so bummed especially now looking at what a great job you did! I’ll have to keep my eye out for another one! That always happens to me too! I’ve learned my lesson…if I like it, I grab it! This is so cute! You make this look so easy. I’m not sure if I could do something like myself. Thanks Alexis! The thing I love most about the rustic and farmhouse style is that it’s very imperfect, so mistakes are encouraged 🙂 Give it a try! Wow, you brought that breadbos right out of the 80’s and into the modern farmhouse. It was kind of dreary and now it’s so much brighter and pretty. I so badly want a bread box!! I love how yours turned out!! Thanks so much Kim! 🙂 I’m was so excited to find it at the thrift store! Amazing what a bit of paint can do! 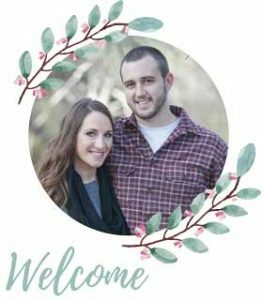 Sweet farmhouse update! Thanks Megan, paint is certainly a miracle worker! That’s awesome! I am still loving our bread box years later. I thought about painting the whole thing white too, but I just couldn’t bring myself to get rid of that vintage charm with the “bread” design. Be sure to post a picture here or tag my on Instagram @MakingManzanita when you’re done. I’d love to see it!